Jessica Jung is a multiple award-winning singer and actress who rose to fame for being a member of the Korean pop girl band, Girls’ Generation (also known as SNSD). In addition to her singing and acting career, Jung is widely known for her business acumen and philanthropic efforts. In 2014, she founded Blanc & Eclare, a fashion brand that sells skincare, clothing, eyewear, denim, and accessories. Clearly, she is a woman who wears many hats and succeeds at all her endeavors. Keep reading to learn more about the life of Jessica Jung, her break-up from the band and the plastic surgery she is believed to have had. Jessica Jung was born on the 18th of April, 1989 in San Francisco, California. She spent some of her childhood in America before she moved to the capital city of South Korea, Seoul, at the of age 11. While she was in Seoul, she attended the prestigious Korea Kent Foreign School. It is believed that this was her only attempt at getting a formal education. The beginning of her rise to fame can be traced to the year 2000. One day, while she was at a mall in South Korea with her younger sister, Krystal, the pair were approached by an agent from S.M. Entertainment, the largest entertainment company in all of Korea. S.M. Entertainment is an agency which specializes in honing the talents of people and turning them into stars. They offered the two sisters the opportunity to train them professionally in dancing and singing. However, only Jessica agreed to sign up with them as her parents were of the opinion that Krystal was too young to take the classes or join the agency. Thus began Jessica’s rise to fame. She went through her training for a total of seven years until 2007, when she had her debut in the entertainment industry as a part of the girl group, Girls’ Generation. Of all the girls in the group, which was a total number of nine, Jessica Jung was the first person to be signed by S.M. Entertainment. Jung had two singles on the group’s debut eponymous album. As she grew more popular, she had other endorsements and work she had to do outside of the work she was doing with the group. This caused a rift in schedules and led to her eventual expulsion from the group. The agency, S.M. Entertainment, corroborated the announcement she made on her Weibo account on her forced departure from the group. S.M. Entertainment stated that although she had been asked to leave the group, they will continue to manage her solo career. As a member of the Girls’ Generation, she appeared in a number of commercials as the group is one of the most highly sought out bands in South Korea by commercial brands, because of the huge crowds they pull. Jessica Jung has since enjoyed a successful solo career in her music as well as in her acting. She currently has three EPs, more than a dozen singles, and has worked with other musicians on their songs. As an actress, she played the lead role in the Korean version of the Legally Blonde musical. She has also had roles in Unstoppable Marriage, Wild Romance, I Love That Crazy Little Thing among many other films. 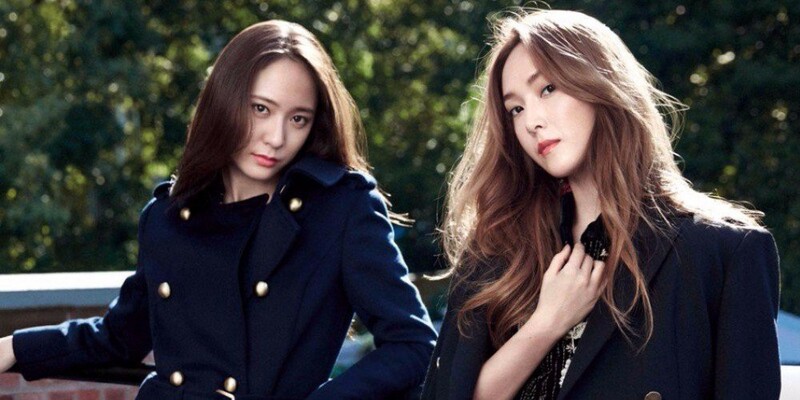 She also has a reality TV show with her sister Krystal called, Jessica & Krystal, which started in 2014. There have been rumors about her relationship with Tyler Kwon, who is the founder of the entertainment company, Coridel Entertainment. These rumors have been in circulation and finally, in 2016, Jessica Jung revealed that the two had been dating for three years. After their many years together, the two reportedly broke up in 2018. Jessica Jung’s estimated net worth is set at $16 million. The wealth she has amassed for herself is not only from her career in entertainment. As previously mentioned, in 2014, she launched a fashion line, Blanc & Enclare, which currently has shops in different locations on the globe. The lives of stars are highly scrutinized and on the Asian continent, a high standard of beauty is something that you have to meet to be fully recognized as a celebrity. This is why there are frequent stories of Asian stars undergoing cosmetic and plastic surgery to fit these required standards. Jessica Jung is not devoid of speculations about the work that has been done on her face. It is believed that she has had plastic surgery on her jaw to reduce its angularity and make it rounder.